Stainless Steel Laser Cutting Machine with 500 watts fiber laser is designed for cutting thin metals less than 2mm aluminum, 3mm stainless steel, 4mm carbon steel and copper, brass, etc, now the stainless steel laser cutting machine for sale with affordable price. 1. Economical Fiber laser cutter for small factory enter-in. 2. Compact structure, small floor area. 3. High precision serve motors, lead screws and guide ways with famous brands to ensure the efficiency and accuracy, greatly increasing the stability and reliability. 4. It can add CO2 laser cutting head for non-metal materials cutting, such as wood, acrylic, MDF, etc. Materials collecting system, which has the special funnel design to make collecting more easy. 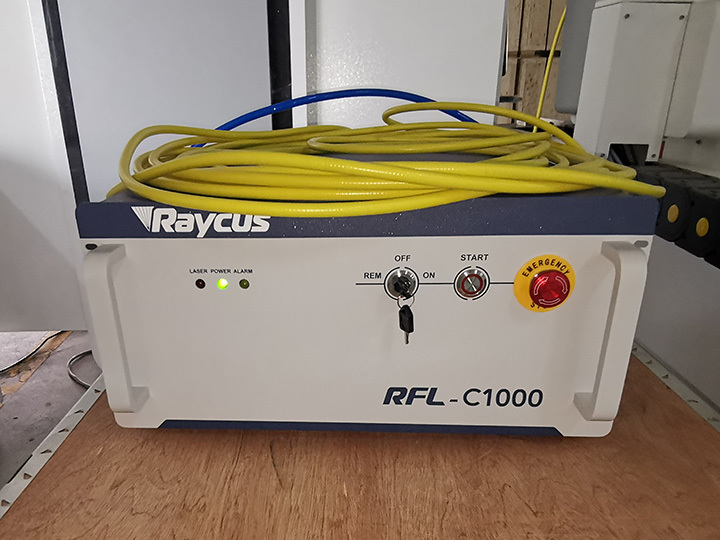 500W Raycus laser source, with long lifespan up to 100000 hours and high cutting speed. 750W and 1000W for choose. 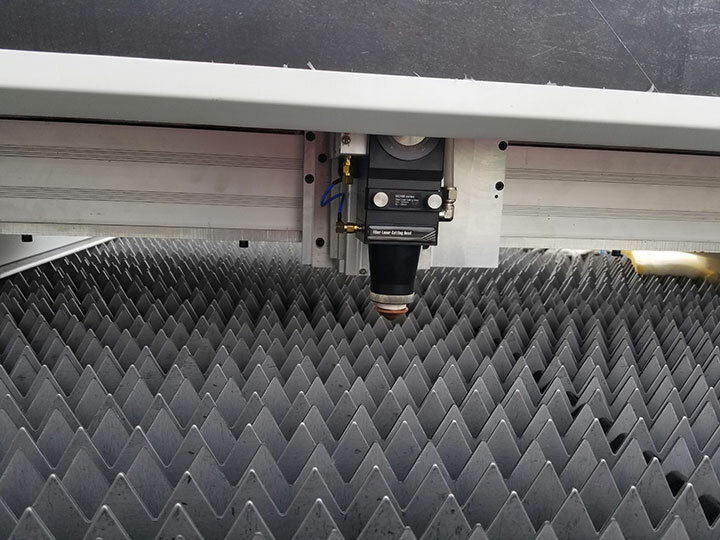 Chinese Au3tech brand laser cutting head, the internal structure of the laser head is completely sealed to avoid dust contamination in the optical part. Stainless Steel Laser Cutting Machine with 500 watts fiber laser is applied in sheet metal processing, aviation, spaceflight, electronics, electrical appliances, subway parts, automobile, machinery, precision components, ships, metallurgical equipment, elevator, household appliances, gifts and crafts, tool processing, adornment, advertising, metal foreign processing various manufacturing processing industries. 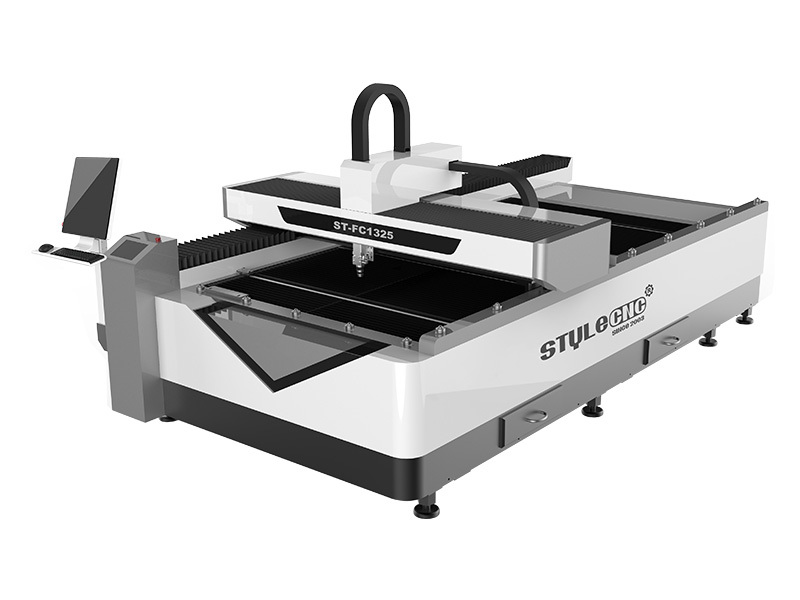 ST-FC1325L can add extra CO2 laser cutting head for non-metal materials cutting, such as wood, acrylic, MDF, etc. 1. Strong water resit bottom in plywood. 2. Laser source (separated plywood case) and Spare parts on the laser bed. 3. Corner protect by foam and fixed by protective film. 4. All covered by strong and hard protective film. 6. Inside steel frame protector. 7. Plywood packing and steel strip outside fixed the box. 8. Finishing packing by normal container or frame container. For free sample cutting/testing, please send us your CAD file (.plt or .ai), we will do cutting in our factory and make video to show you the cutting process and result, or send samples to you to check the cutting quality. 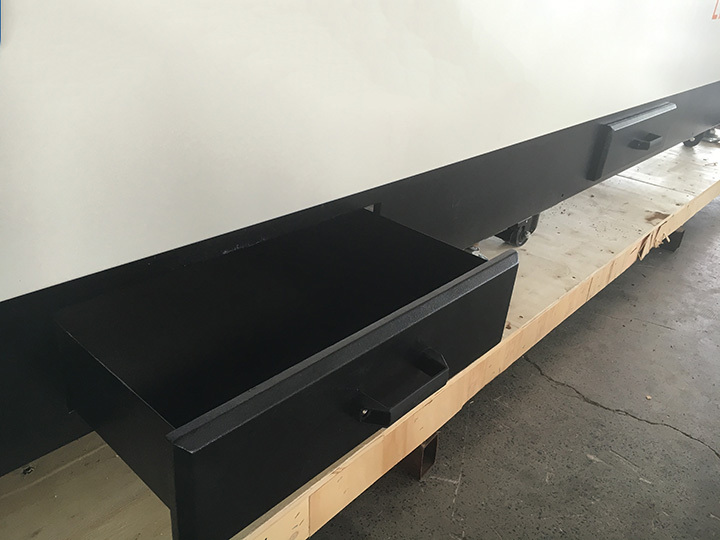 According to customer’s product processing requirement, we can design the unique solution that supports higher manufacturing efficiency and better processing quality for customer. According to customer's application, we may revise our machine according to customer's convenience and high production efficiency. 3. Our engineer will do a door-to-door instruction training service at your local site. We need your help to deal with the visa formality, prepaid traveling expenses and accommodation to us during the business trip and service period before their dispatch. It's better to arrange a translator (if no English-speaking) for our engineers during the training period. 1. 3 years for the whole machine, laser device 18 months, chiller 12 months, lens/mirror/nozzle without warranty. 2. 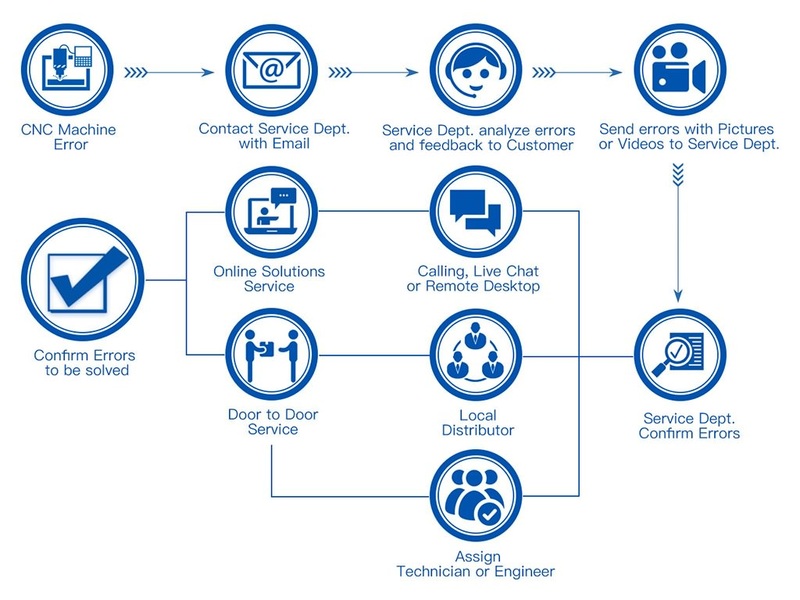 Long life-time maintenance, after-sale department will offer 24/7 English online support. 3. Except the damage artificially, we are responsible for offering the fittings free of charge during warranty. 4. After the warranty period expired, the buyer only need to pay the actual maintenance cost. 5. Certificate support: CE, FDA, SGS. If you have an idea to get a free quotation of Stainless Steel Laser Cutting Machine, please answer the questions as following and tell us by email, so that we can recommend the most suitable laser machine and quota the affordable price to you directly. 1. Do you need to cut metal sheets/plates, metal pipes/tubes only or both? 2. If need to cut tubes, What is your tube length, diameter and max thickness? 3. For cutting metal sheet, what is the max working area required? 5. Which seaport is the nearest to you? 6. 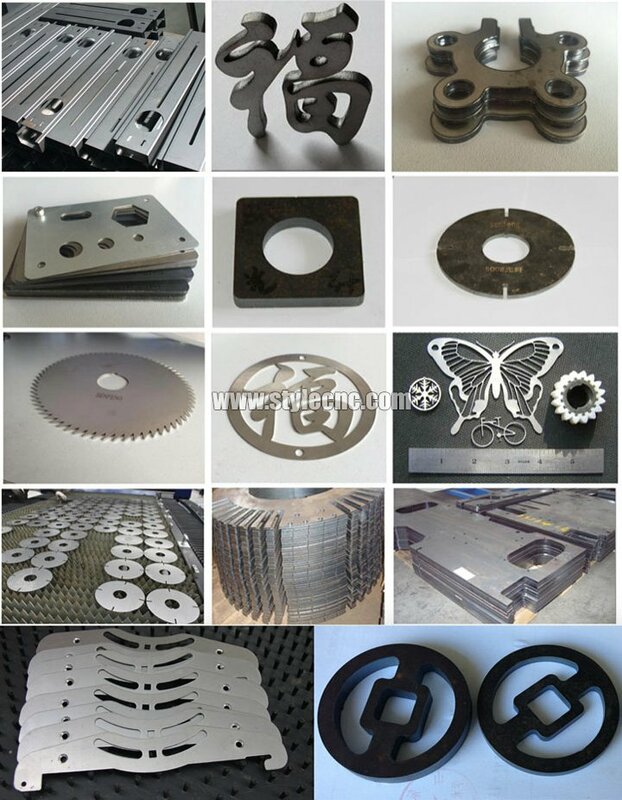 Do you have any experience in the Fiber laser cutting machine? 7. What is your online chat way? Such as Skype, Whatsapp, etc. 8. Are you an end user or reseller? 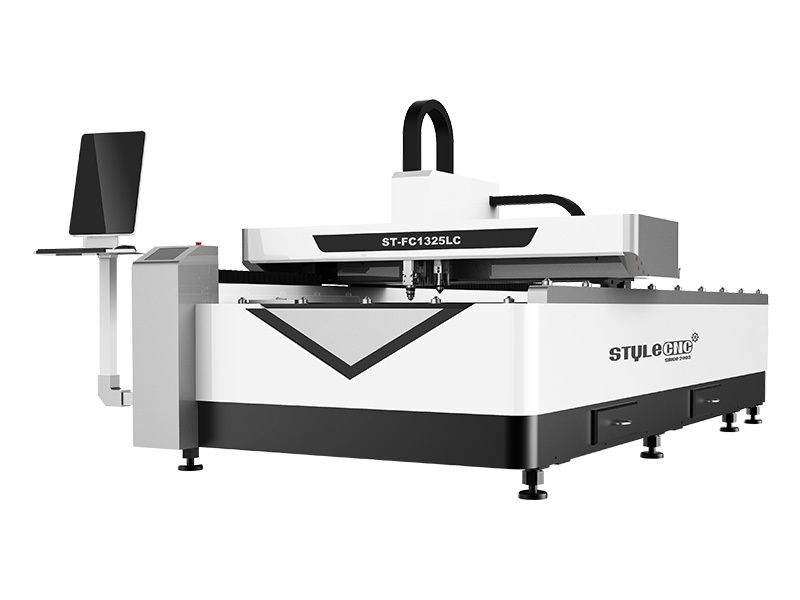 License: The text of "Stainless Steel Laser Cutting Machine with 500 watts fiber laser" by STYLECNC is licensed under a Creative Commons Attribution 4.0 International License. 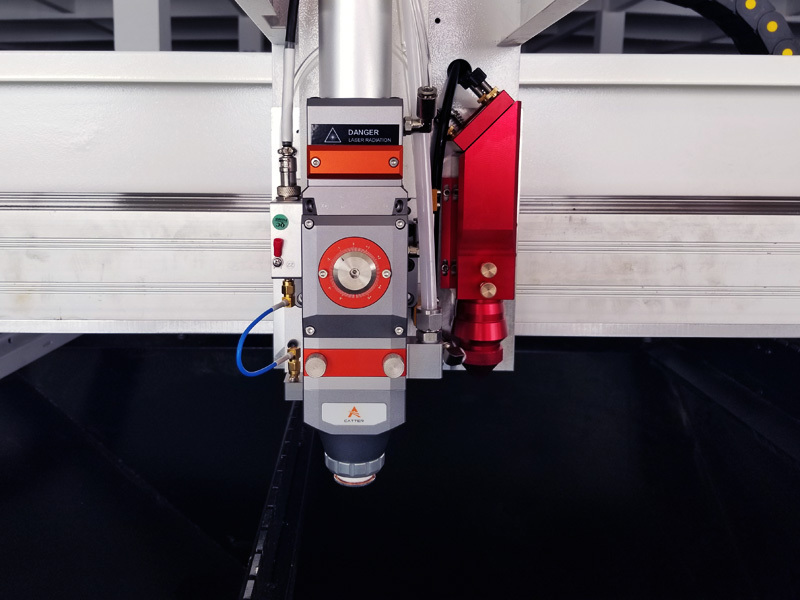 Fiber laser marking machine not only can mark black, whiter, grey, fiber laser marking machine can also mark the colors on the stainless steel to improve stainless steel products value-added.